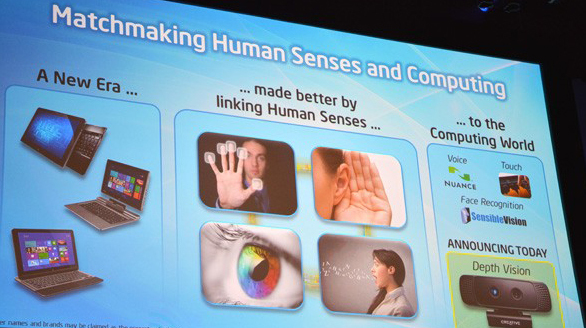 Intel’s just announced the Creative Senz3D Peripheral Camera at Computex 2013. This motion-tracking device uses two camera lenses to create a deeper perspective, and lets users manipulate objects on the screen using gestures. This device can be used for example for gaming, news reporting, education and video conferencing. The Creative Senz3D can in fact be fully integrated with Skype “to simulate a more accurate face-to-face conversation or simply spice up your backdrop” (source: Laptopmag). I saw the CEEDs story today on Intel’s Creative Senz3D, and wanted to clarify one point. The Leap Motion Controller does in fact contain multiple cameras—it has 2 camera sensors and 3 infrared LEDs. Leap Motion’s software – the real magic – translates the information from the camera sensors into 3D input. Could this be updated in your story? For more information, please visit the CNET website.